The natural course of things means Paris Fashion Week! 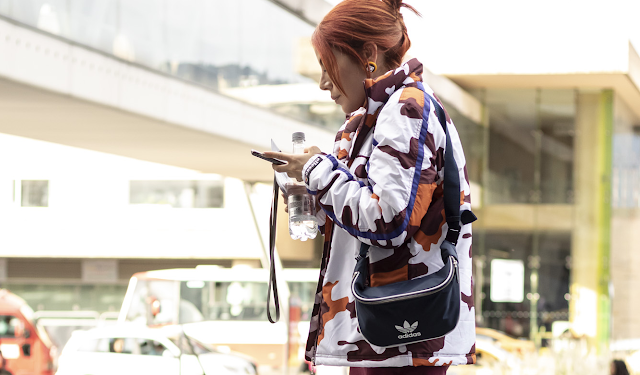 I am not going to extend myself in describing the colors and type of fabrics in the runways, I bet other bloggers and fashion magazines already did. Let's focus on what worth to pay our attention at! Valentino. Oh, Valentino!. 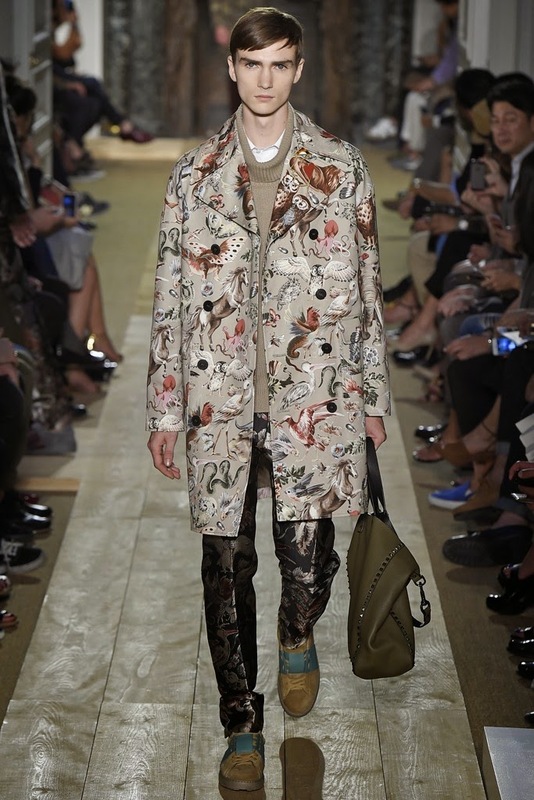 I want to start quoting a friend of mine saying "That valentino overcoat looks like my grandma armchair". She was ironically right. Valentino is loosening up. 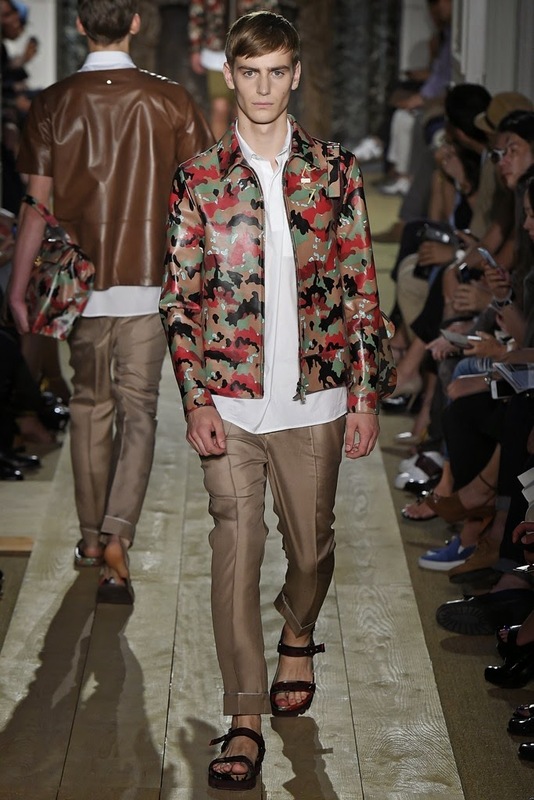 Cameo prints and butterflies and flowers on earthy tones were the new ideas that Pierpaolo Piccioli and Maria Grazia Chiuri brought to Valentino spring 2015. It's beautiful, It's Valentino. BUT watching a couple of times the runway just made feel I was in a little cottage excessively ornamented owned by my hippie grandmother -that also was botanist. Sometimes very 50's, sometimes very rock-and-roll. The best looks according to me were the basic ones: the 4-pieces camel color suit and the nighttime blue leather coat among others. "Silent Sedition" was not my favorite collection, but we can't deny all the haute couture imprint these duo achieved for the opening of the Paris Fashion Week. 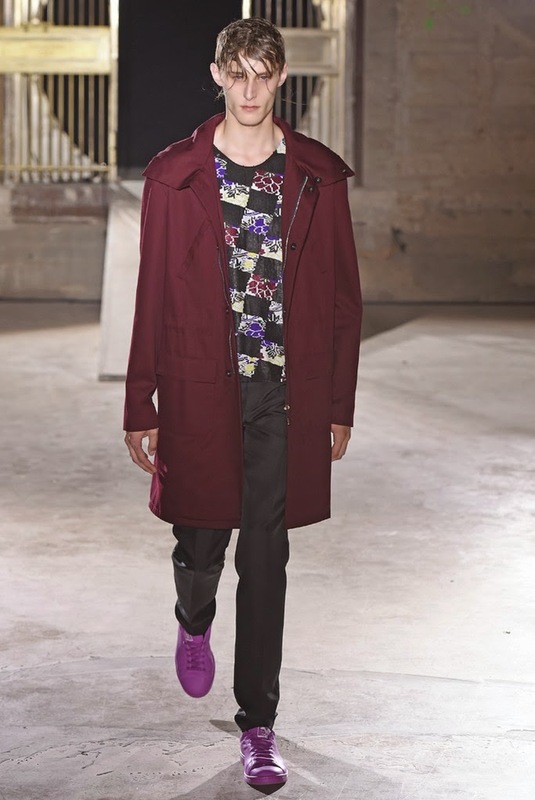 The Belgian designer Raf Simons - also creative director of Dior- went for Japanese inspirations and Flashy Sneakers. Leaving all their spectators standing close to the runway, Mr Simons decided to play with red and green lights during the 10 minutes show. 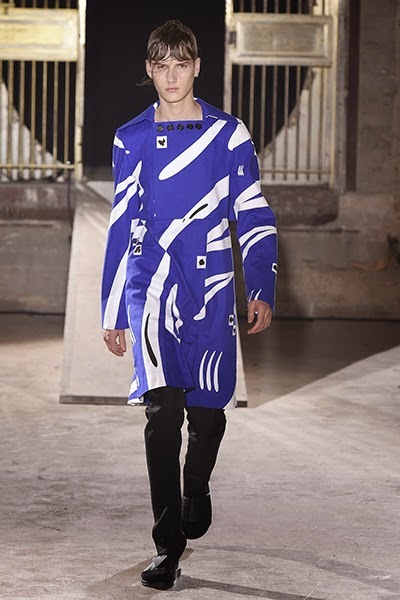 Some coats and jackets were decorated with japanese calligraphy and some collage of pictures, not to mention the multiple appearances of the new RF logo in the right upper quadrant. 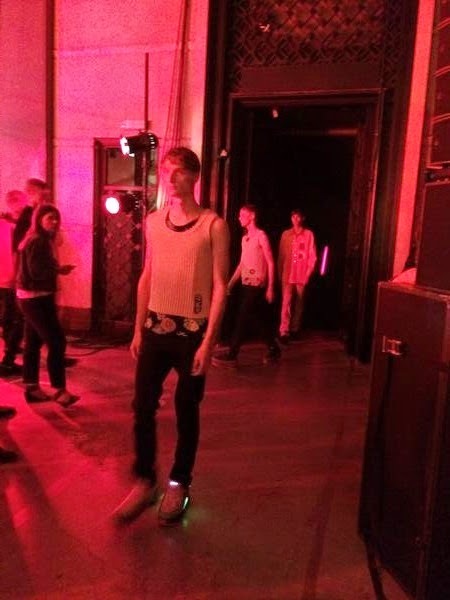 Models were walking with a tuft of wet hair on the forehead while transitioning to the red zone. The eerie sensation was immediately perceived in the clothes. For me, the most interesting thing was the flashy sneakers under the purposely placed red light! It took me to the kids-lights-shoes time when you were so eager to get a pair of them and bounce for no reason to show them off! 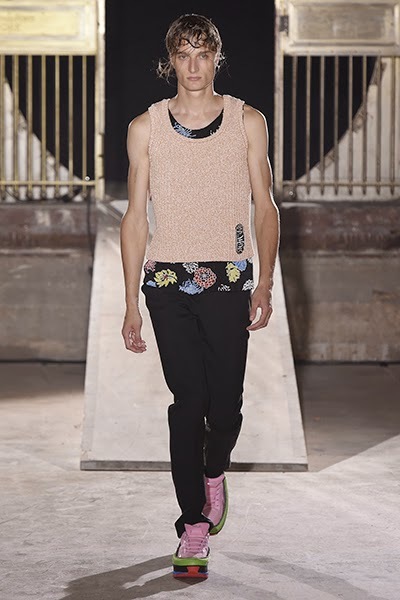 Take a look to the same model under different lights (Source of the pictures: openingceremony.us and Nowfashion.com). Nelson Rueda Argumedo es el director creativo de la marca Argumedo y del blog de moda masculina, estilo de vida y lujo no.1 en Colombia, www.MrPizazz.net. 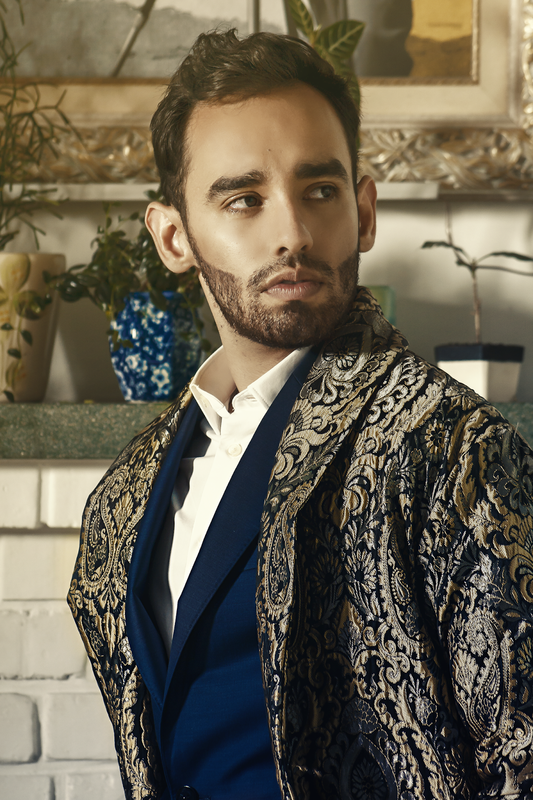 Nelson Rueda Argumedo también es columnista de moda de Publimetro Colombia y ha trabajado como tal para Nueva Mujer Latinoamérica y Ask Men Latinoamérica. Nelson continuamente ha trabajado como embajador de marcas internacionales como Benefit Cosmetics, W Hotel, Tiffany's, Armani Exchange, Burberry, Reebok, Calvin Klein, Kerastase Homme y marcas nacionales como Carlos Nieto, Seven Knots, KOAJ entre otras. ¿Los canguros o riñoneras están de vuelta? It's a Yacht, Yacht, Yacht World!